I painted F’s foot with white paint and made prints onto black cardstock. Then I added details – so easy! This would be a great activity for a party or crafty playdate. 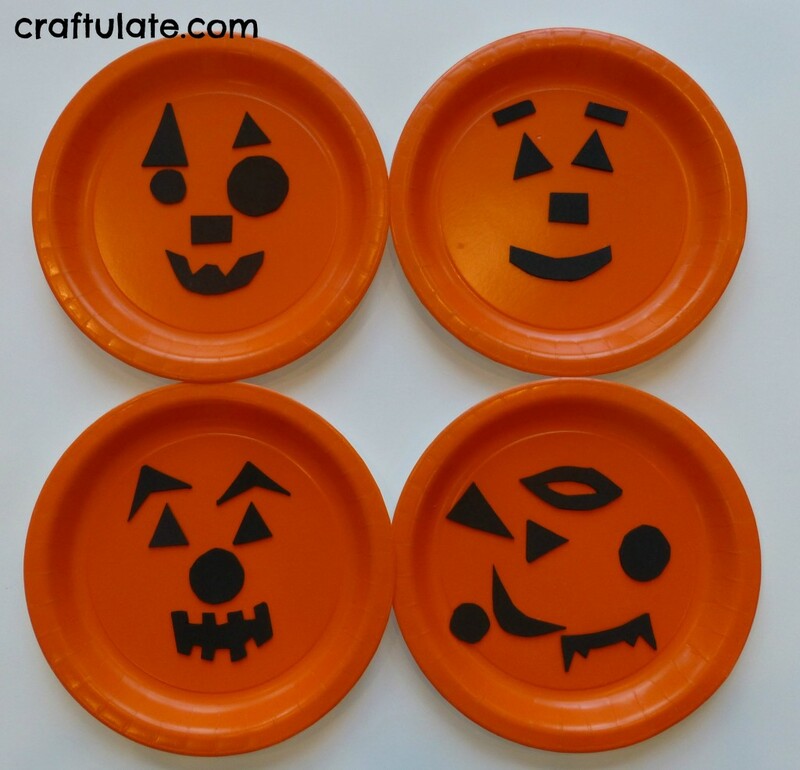 I found some orange paper plates and cut some face parts from black craft foam. I made one pumpkin face in advance to give F the idea of what we were doing. He hasn’t used a glue stick much so this was great practice for him. Can you guess which one was his plate? I drew around F’s hand with fingers together. I used this as a template and copied it onto black cardstock. Then I cut out a bat head and body from more black cardstock, then added teeth and googly eyes. These would look great in a window and would be a cute classroom project! We glued on all the sticks and then added pairs of googly eyes. This is a super cute idea from Blissfully Domestic. I gave F a bowl of orange pony beads and a green pipe cleaner. He carefully threaded as many beads as he could, rejecting the sparkly beads after a while for some reason! Then I twisted the ends of the pipe cleaner together to make the pumpkin’s stalk. Wonderful fine motor skills practice! Note: I have updated this spider craft and it has moved location – check out the new Spider Craft for Toddlers – complete with video tutorial! Thanks so much for the simple and inexpensive craft ideas, my grandchildren are having a blast. I will treasure them for always! Excellent craft ideas! I had almost everything at home already, its nice to come across activities that don’t involve a trip to the store! Love the spooky wood! So clever! Off to pin and share! Love the Toddlers crafty ideas ! can’t wait to try these with my daycare kids. Gonna try these activities with my toddler and preschooler that I keep. 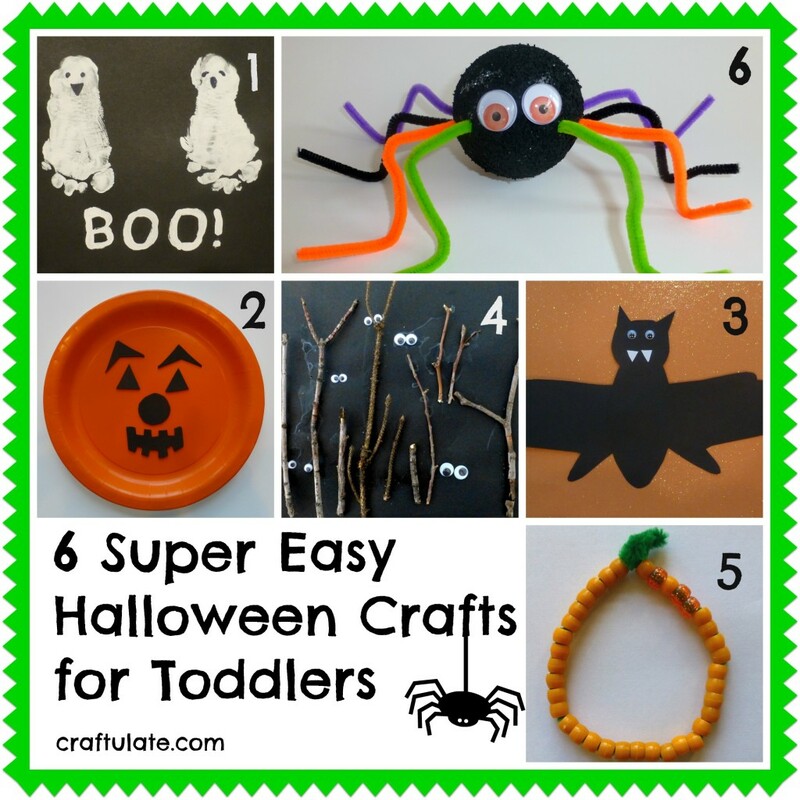 Thanks for sharing these fun craft ideas for toddlers. I am going to try it out with my baby. I have been also referring to https://www.whattoexpect.com/toddler/ for everything and it is quite useful. Hope this helps your readers as well.